In mid October, country legend Willie Nelson unexpectedly canceled a few upcoming concert dates in Virginia and Pennsylvania due to an undisclosed medical issue. At 82-years-old, any time there’s news of a medical issue with Willie, it can be a cause for concern. Now the medical issue has been revealed. Willie Nelson took time off from touring to have a new breakthrough regenerative stem cell procedure conducted. The hope is it will keep the 82-year-old singing and performing for years to come. According to the Lung Institute, stem cell treatment can be effective for individuals suffering from issues such as emphysema, chronic bronchitis, and pulmonary fibrosis. Many times the procedure is conducted by harvesting stem cells from the patient’s own body—sometimes fat tissue, bone marrow, or sometimes the patient’s own blood depending on the condition and health history of the patient. Then the stem cells are separated from the other body tissue and re-introduced into the lungs, sometimes intravenously or through a nebulizer or other means, with the hope of helping to regenerate damaged lung tissue. 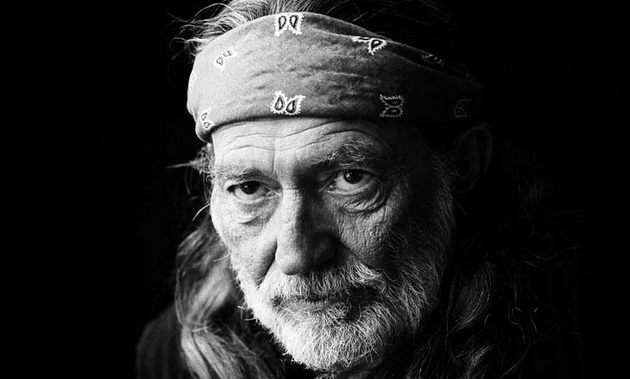 Willie Nelson is not only known for being a country star, but also for being a proponent of marijuana use. Though marijuana is significantly less harmful to the lungs than cigarettes, prolonged exposure can slightly increase the risk for lung diseases. Regular smoking of marijuana by itself causes visible and microscopic injury to the large airways that is consistently associated with an increased likelihood of symptoms of chronic bronchitis. On the other hand, habitual use of marijuana alone does not appear to lead to significant abnormalities in lung function . . . except for possible increases in lung volumes and modest increases in airway resistance of unclear clinical significance. Therefore, no clear link to chronic obstructive pulmonary disease has been established. Although marijuana smoke contains a number of carcinogens . . . findings from a limited number of well-designed epidemiological studies do not suggest an increased risk for the development of either lung or upper airway cancer from light or moderate use, although evidence is mixed concerning possible carcinogenic risks of heavy, long-term use. Willie also spoke in his biography about his heavy habit of cigarette smoking earlier in his life. During recent Willie Nelson live performances, it’s clear the aging singer is losing a bit of his lung capacity, and is having difficulty singing. Though Willie otherwise appears to be in great health physically and mentally, especially for an 82-year-old, his lungs have been his one recurring medical issue. Wednesday evening (11-18), Willie Nelson became the only country music recipient of the Gershwin Prize from the Library of Congress. He was clearly breathy in his performances, but he is still likely recovering from the surgery. With the new stem cell procedure, hopefully Willie can be put on the right track and continue to entertain audiences for years to come. From what I’ve read, this is not true. People tend to smoke far less marijuana than they tend to smoke cigarettes. But on a one to one basis, marijuana is actually worse for your lungs. People hold pot smoke in longer, and also, unless you’re a real hoss, most cigarettes are filtered, and take out a good bit of tar, while a lot of marijuana consumed is not…. Let’s not make this about marijuana… He said he smoked 5 packs of cigarettes a day! That is way more than anyone (even Willie) would consume of marijuana. Not to mention, all the added chemicals the tabaco industry jams in those things to keep the people addicted. I’d be willing to bet over 90% of his lung related health problems are from the everyday air he has been breathing over the last 80+ years and his cigarette habit. Long live Willie! Anticipating folks bringing up marijuana use as a potential cause of Willie’s lung issues, I presented both sides of the story, including a study that says marijuana is not thought to contribute significantly to lung disease (though it could have a small factor), as well as Willie talking about how much he used to smoke cigarettes. Hopefully folks can use all of that information to come to their own conclusions. I have read that marijuana contains anti cancer properties. Hence the derived chd oil Rick Simpson oil. Of course weed isnt great ( look at teh bongs we scrape) , but it has counter active ingredients to fight as well as cause cancer. Cigarettes are filled with awful ingredients, nothing good contained in them. This fella will die on the road with a guitar in his lap or on the stage. Probably the way he wants it. What a career! Take care of your self Willie. We need ya! And the procedure is not always safe … While there is no reports of any harm at the Lung Institute, another stem cell physician, discussed in the article, has had severe complications. For the record, we don’t know where or who performed Willie’s stem cell surgery, and because of doctor/patient privileged, we won’t know unless Willie chooses to divulge that information. I cited the information from the Lung Institute as representative of how these procedures are generally done. Hope this proves successful ultimately. I feel strongly for Nelson and hope his wish is ensured. Hoping he recovers soon and can get back on the road, doing his thing. He’s one I’ve always hoped I could see in concert. I saw Willie perform right after the surgery and I thought he sounded amazing. I am always amazed when I read about anybody smoking that many cigarettes a day. (Waylon reportedly smoked up to six, yes SIX packs of cigarettes a day!) The fact that Willie isn’t dead already probably indicates that he has an amazing constitution and as you point out is in great shape for an 82 year old. Willie was on Larry King a few years ago and spoke about how he had quit smoking weed and was using a vaporizer to avoid the downsides of smoke. I’ve always been amazed by how many cigarettes some people could smoke. I read once that John Mellencamp used to smoke five packs a day and John Wayne, before his lung removal smoked six packs a day. I had a meeting with a guy in his office once, and he was actually lighting one off the other. In 45 minutes, I bet he smoked at least 6 cigarettes. I have a friend whose mother in law is constantly badgering him to quit smoking. He smokes about 3 packs of cigarettes a week, most of these on Friday or Saturday night. 30 years ago he wouldn’t even have been considered a smoker. Pick out the seeds and stem cell’s, Willie! Idiot, needs to stop smoking weed. I know a doctor and he sees patients all the time who say “oh I have a bad repetitive cough” and “oh I’m depressed”, blah blah blah, and they all smoke weed. I am a representative for the Lung Institute and wish Willie Nelson the best in his fight against lung disease. We have seen much success in treating people with lung disease using stem cell therapy, and 70% of our patients report an improved quality of life. We understand that there is still no cure for lung disease, and our goal is to bridge the gap to improve people”™s quality of life from now until that cure has been discovered. We welcome any questions that you may have, as we understand that this is a relatively new procedure and there is a lot of misinformation out there and many questions. Please feel free to email communications@lunginstitute.com and we”™d be happy to talk with you. The guy’s 82. He’s been healthy and productive for almost all of those years and his mind is still sharp. I’m sure if I smoked marijuana like he does, it would kill me or I’d be a total mess. But it’s worked for him. Willie smoked it on the roof of the White House. He can die today and he’s a testament to the positives of marijuana. Hi Willy, heres hoping you are well.MY thoughts and prayers are with you after the surgery.Will be hoping to get to Texas to see you o the 4th July.Seen you twice in Brisbane a few years ago.Cant wait to see you again.Oh I wonder if we are related..My dads name is Willy, brother Willy and uncle Bobby, wouldn’t that be the best.But the only thing I’d love is to have a pic taken with you…..Love to you Willy.get well. This could be the ultimate breakthrough we been waiting for. A grand celebrity like Willie Nelson having this stemcell therapy procedure done. This could be the proof it really works. We are desperately trying to get the funds for my husband who has stage 4 emphezema done. Weve almost reached our goal of 5500.00 to have the bloodstem therapy done. We just have alittle ways to go yet. So please Willie keep us informed on your ongoing progress. We wish you the best, and send our love and prayers your way. Willie I’m going to Mayo at Rochester Min. for stem cell replacement. I have seen you preform in Cedar Falls Iowa. I enjoyed your show. I dress up and preform at Care centers for the people with my guitar and I feel like you Willie. God bless you Willie and with God and fan’s prayers you will get better. I’m Monica Henry by name, I’m here to share my testimony about Dr Mapipa herbal medicine Cure , he has the cure to different kinds of diseases, he cured me and my husband of COPD and Parkinson’s disease,me and my husband was diagnosed of COPD and Parkinson’s 2013,we live in pain for years ,so desperate for cure. one day i was glancing through different website I saw different testimonies about dr mapipa,so many people saying he cured them of different diseases,i was so surprised and skeptical,but i have so option because me and my husband need the cure desperately ,so i contacted him via his email.drmapipaherbalmedicinehome(at)gmail(dot)com,he replied and Needed some Information about me and my husband, then I sent them to him,then he sent me the herbal medicine through FEDEX Courier Service,The courier service called me after 2days that i must be at home because they will be delivering that day ,which i did ,when i received the herbal medicine ,we call dr mapipa then he told us how to use the herbal medicine ,he said we will be totally cured after 30days of usage which we believed with faith.so after 30days of usage they was a lot of changes in our life’s ,so we went for check-up, I was tested COPD FREE and my husband was fully recovered from Parkinson’s,it was like a miracle to my family ,please viewer my testimony is real ,any negative news you see online or hear about DR MAPIPA is false ,he is the only real herbal doctor online ,so many fake herbal doctor are trying to spoil his name,please viewer don’t mind them ,DR MAPIPA will never let you down ,he is a great man.